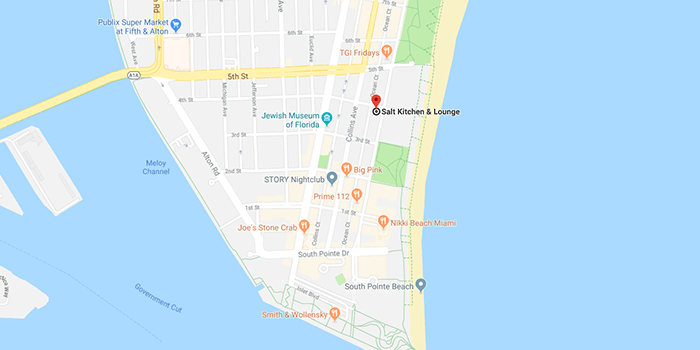 Since the launch of SALT KITCHEN & LOUNGE on 350 Ocean Drive in Room-Mate Hotel: Lord Balfour, our team has been committed to sharing their love for food and community. Everything we do is about bringing good food to good people. 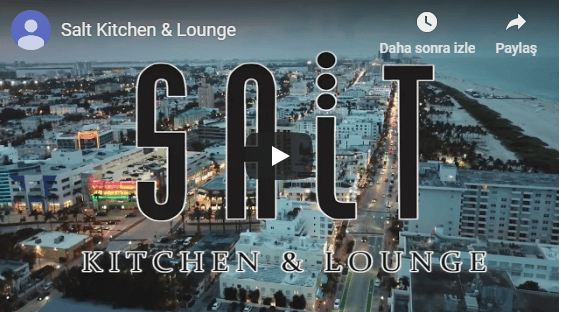 Salt Kitchen & Lounge has brought proper Contemporary American cuisine on Ocean Drive in Miami Beach. Our award winning executive chef Mr. Dustin Atoigue from Guam, who previously has opened many restaurants in Miami Beach and other cities, has put his special magical touch to each and one of our dishes, which is hard to explain with words, but always on your mind once tasted. We specialize in bringing the best breakfast experience to our guests with our extensive Breakfast A La Carte Menu and Breakfast Buffet. Our award winning Salt Speciality Burger or Lobster Rolls from our Lunch Menu and Lamb Chops from our Dinner Menu amongst other delicious plates are here to take your tastes to another level. Our passion is to offer exceptional service and truly genuine hospitality to each and every guest. VIP treatment is standard at Salt Kitchen & Lounge. We deliver more than just in amazing food and drinks: We create remarkable experiences. The hell with the rest.